Hey guys! I am quite excited to share the Joy Lacquer Sugar High Collection with you today. As someone with a huge sweet tooth, this collection is absolutely delightful. The Joy Lacquer Sugar High collection consists of five full coverage shades plus a super shifty top coat. Let's check them out! Notes: Shifty top coats are so much fun to play around with. Instead of swatching this over black, I opted for a charcoal gray. 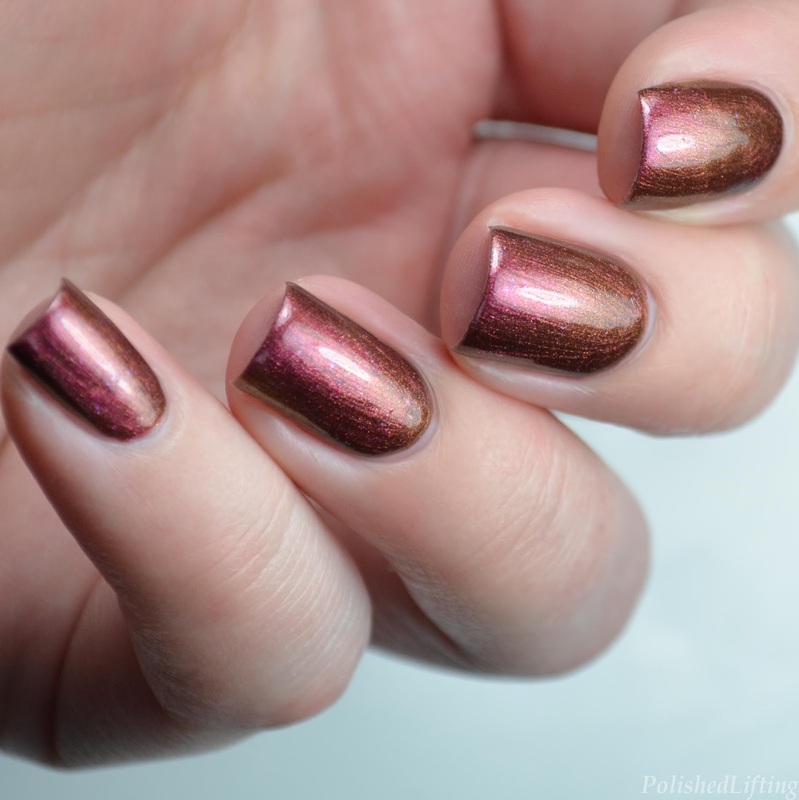 Notes: This shimmery shade is the color I used to build my Origami Nail Art look. It really caught my eye with that blue shimmer. Notes: The sugary sparks are kind of sneaky and like to hide in bright light, but you can see them best in the areas that are reflecting white. In honor of this fun collection I wanted to do some appropriately themed nail art. This look uses all of the shades in the Joy Lacquer Sugar High Collection with the exception of Spun. Notes: You know what's better than shimmer alone? Shimmer with opal glitter. This pair was meant to be! 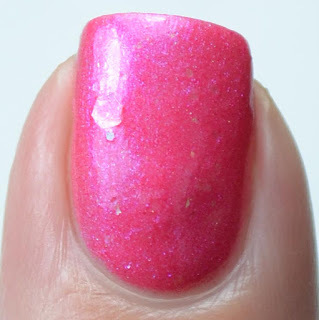 Continuing with the candy theme, I thought that Joy Lacquer Razzmatazz needed some cute candy stamping. 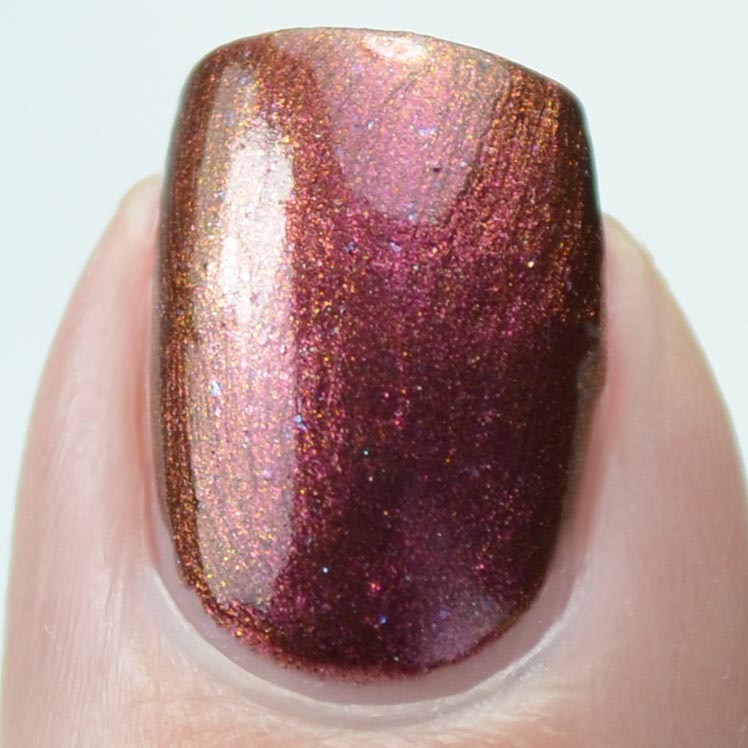 Notes: This is like a sister polish to Joy Lacquer Razzmatazz. I love it in both shades. Heck, I wish she would release a rainbow of shades just like these. Notes: I think it's safe to say that Joy Lacquer is a boss when it comes to duo and multi chromes. This is wonderfully shifty, and the blue sparks are a nice touch. The Joy Lacquer Sugar High Collection will be available for purchase on March 11th, and will begin shipping on March 17th. The polish is priced between $10-$11 per bottle. If you purchase the whole set, use CANDY at check out to receive $1/off per bottle. This offer is only valid on the set of full sized bottles.